Window World of Long Island is proud to offer the Prodigy® Insulated Wall System, the most advanced replacement vinyl siding system on the market. 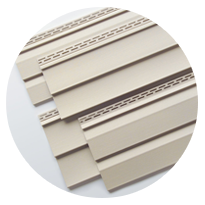 This system boasts stylish exterior cladding, as well as protection from the elements. New Yorkers know how harsh winters can be, which can bump up the cost of your monthly energy bill. With Prodigy siding, each profile (Single 7, D6 Clapboard, D5 Dutch lap) offers unique benefits to your exterior, including wrapping your home in a blanket of protection from frigid, northern winters. This, in turn, saves you money on your energy bill because the insulation keeps you comfortable inside without having to constantly crank up the heating or AC. 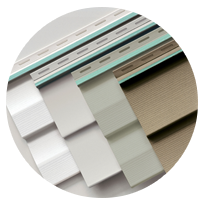 At Window World of Long Island, we’re proud to offer a wide selection of siding color options. When browsing through our wide selection, we can assure you’ll find the perfect color for your home, giving it that extra boost of needed curb appeal! Ready to give your home a whole new look? View our color options to get started. 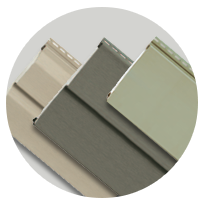 Take a look through our numerous vinyl siding products and schedule your free in-home estimate to speak with a Window World professional about the best product for your home. If you want to reduce energy costs, protect your home in a blanket of insulation, and upgrade your Missouri home’s exterior with an amazingly beautiful exterior cladding, then we’d like to introduce you to the Prodigy® Insulated Siding. Each Prodigy® profile (Single 7, D6 Clapboard, D5 Dutch lap) offers unique benefits to lower your energy costs. And, during your free in-home demonstration, one of our certified home improvement specialists will help you decide which vinyl siding type is best suited for your lifestyle. Reliable enough to stand up against the Long Island climate, 4000 Energy Plus Vinyl Siding is made to protect your home in numerous ways. Premium 1-¼” thick contoured insulating underlayment repels moisture and keeps your exterior safe. 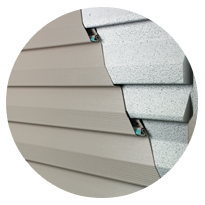 Our 4000 Reinforced Vinyl Siding has been tested to withstand the powerful forces of a category 5 hurricane. With winds blustering up to 155 mph, this siding doesn’t budge. Now that’s strong. We understand how frustrating constant upkeep of your home’s exterior can be, which is why our 2000 Vinyl Siding has an easy care appearance and extreme rigidity to keep walls straight and smooth. Contact Window World of Long Island today for all of your window, door and vinyl siding needs. We’re excited to help you on your next home-improvement project!